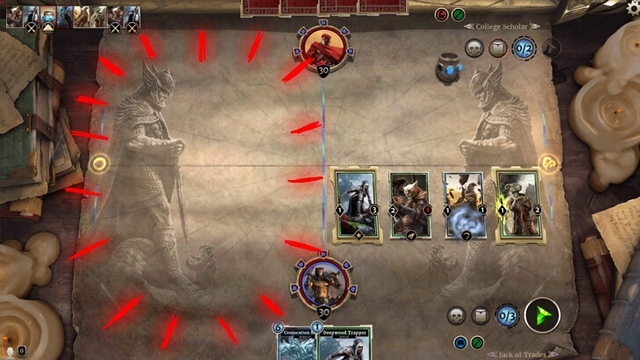 The Elder Scrolls: Legends is a game of skill, strategy, resourcefulness and a little luck. Thankfully, that means every opportunity for a simple mistake or mishap is also an opportunity to learn, grow and play even better. For your benefit, we can skip some of that “learning from your mistakes” stuff by showcasing five common errors newcomers (and the occasional experienced player) may be prone to – and what you can do to course-correct and avoid those bad habits. Too often, overly-eager players will play out their hand as soon as their turn begins before moving on to attacking. After all, what’s the harm in building up your board if your opponent can’t react during your turn? 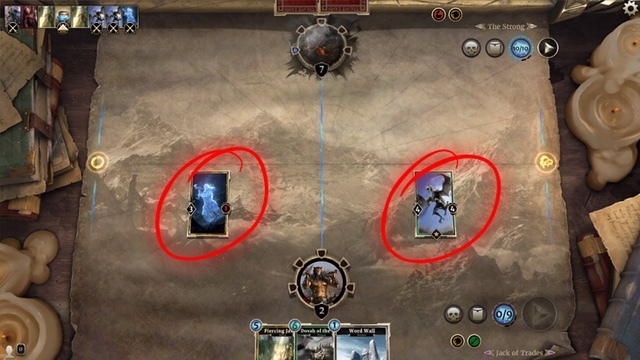 Well, thanks to The Elder Scrolls: Legends’ rune system – which allows players to automatically draw (and potentially even play) a free card once they lose a set amount of life – your opponent can do just exactly that if you’re not careful. Prophecy cards, which can be played instantly for free if drawn from a rune break, let your opponent make a sudden play right in the middle of your turn – whether it be a simple Guard creature to block your next blow, or an outright removal of your biggest threat. 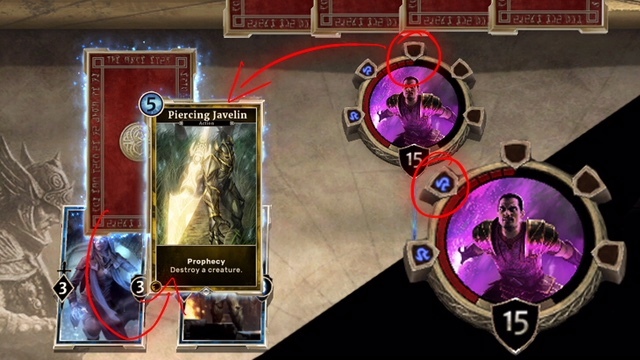 Thus, to prevent your freshly-played finisher from getting hit with a clutch Piercing Javelin, make it a habit to do your attacks first. Obviously, some cards work best before attacking – such as Divine Fervor to buff your creatures or Shadowfen Priest to silence an impassible Guard creature in your path – but generally speaking, it’s best to leave your opponent with as few targets as possible in the case of a sudden Prophecy play. “Who’s winning?” is a deceptive question in The Elder Scrolls: Legends. Comparing health totals seems like a straightforward way to see who’s on top, but other factors like board presence, hand size and remaining runes can turn the tide in an instant. Essentially, a match of Legends is a race to get the opponent’s health to zero, so it’s crucial to see who’s “ahead” in the race when deciding your next play. Having the most health, the best hand and the flashiest creatures in play won’t mean squat if your opponent can ultimately kill you in fewer turns – especially if said opponent may be holding onto a surprise burst of damage, such as a Charge creature or a last-second Lightning Bolt. 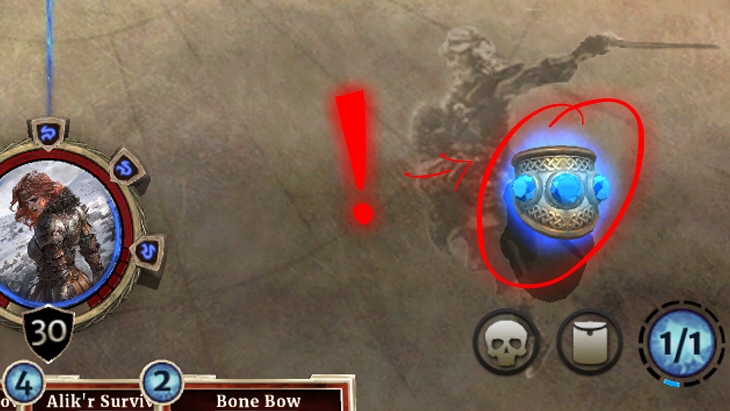 Starting second in The Elder Scrolls: Legends may seem like a loss waiting to happen, but thanks to a little jeweled accessory, it may be a blessing in disguise – if used properly, that is. Offering players a 1-magicka boost once per turn, the Ring of Magicka makes up for playing a turn behind your opponent. However, the Ring’s finite number of uses means the powerful trinket can run dry before realizing its full potential. Early on, players may be tempted to immediately tap into the Ring to keep toe-to-toe with their opponent’s plays. While playing cards a turn early is exciting, it’s a waste of the spare magicka if you can’t follow up with anything else the next turn. Now, that doesn’t necessarily mean you should hoard the Ring for later. Rather, the secret is finding a happy medium and use the Ring of Magicka to keep up the tempo, doing your best to play a card each turn and keep in pace with your opponent. This strategy is especially helpful if you pull a less-than-perfect opening hand at the beginning of the game. Have two 3-cost creatures to start off with? Consider using the Ring on your second turn to get one creature out and keep the other for your next turn. Putting constant pressure on your opponent is the Ring’s true strength, not sudden bursts. Also, it really brings out the color of your eyes, y’know? Special lanes offer The Elder Scrolls: Legends an extra layer of depth, creating strategic advantages based on not just what you play, but where. In a ‘standard’ game of Legends, there are two main lanes – a normal one on the left with no special rules called the Field Lane and the elusive Shadow Lane on the right. Creatures summoned (or moved) to the Shadow Lane immediately gain Cover, preventing them from being attacked for one turn. While players may be tempted to summon their creatures to the Shadow Lane for the extra protection, it’s crucial they don’t get fixated on just that one lane. While certain creatures gain a huge benefit hiding in plain sight – such as those with the Pilfer or Lethal keyword – controlling the Field Lane offers a huge advantage. Without some Cover to protect newly-summoned creatures before they can attack, it can be difficult to seize back the Field Lane compared to its twin. It’ll take some practice fighting for control of both lanes, but creatures with skills like Charge or Guard – which don’t benefit from the Shadow Lane anyway – make fighting on two fronts a little easier. Couple that with certain cards that move creatures between lanes, and you can even double dip! Sometimes mishaps occur before a match has even begun. Whether it’s crafted straight from your card collection or drafted on the fly in Arena, a deck can hit choppy waters from the outset if its magicka curve is out of whack. What is “curve”? In many card games, curve refers to the deckbuilding strategy where an optimized deck is statistically favored to have a certain-costed card in hand exactly as the player has enough resources to play it. 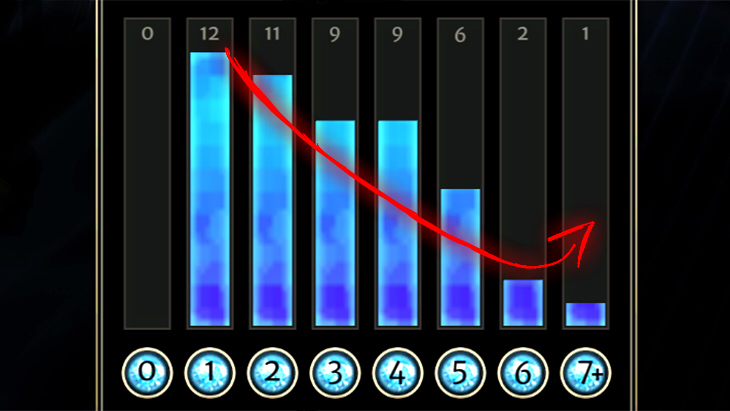 In Legends, being “on curve” means a player’s deck can reliably play a 1-cost card on turn 1, a 2-cost card on turn 2 and so forth. The best way to get a good curve is to watch the ‘magicka cost’ graph when making a deck. Generally speaking, you want more lower-cost cards for early on, when magicka is scarce and you haven’t drawn many cards yet. From there, add fewer and fewer of each higher-cost slot until it makes a nice gradual slope – or curve – on the graph. When players lose track of magicka costs, their deck is more likely to draw the wrong card at the wrong time. An excess of low-cost cards won’t be able to keep up with your opponent’s bigger creatures on later turns, while too many high-cost cards early in the game may give you nothing to play for several turns in a row. In short, you need a balance of good cards to play in the early, middle, and late stages of a game. Of course, random elements will always be there to give Legends its big moments, strategic moves and exciting comebacks – and different playstyles necessitate different kinds of curves – but there’s no harm in putting in a little extra effort to convince Lady Luck to work for you, not against.